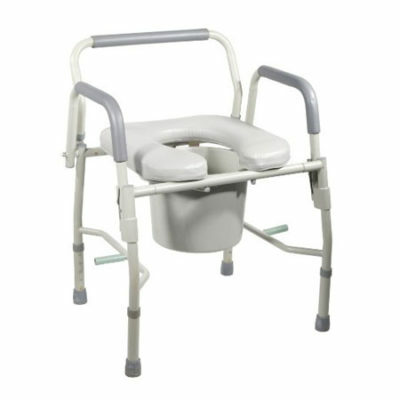 Large padded backrest provides patient comfort. 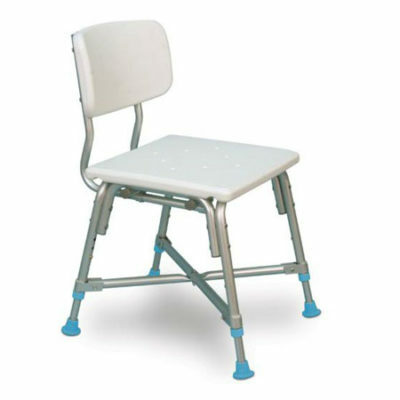 Durable 1″ steel tubing is sturdy and easy to maintain. 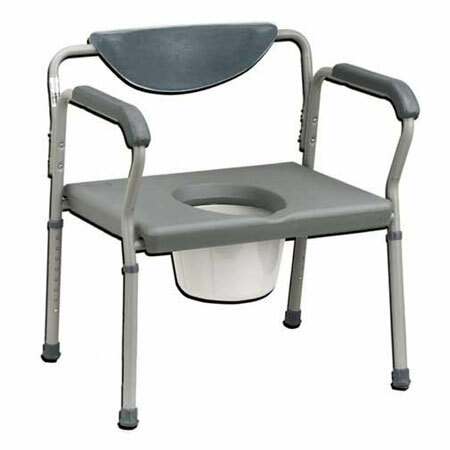 Comes complete with commode bucket, cover and splash shield. 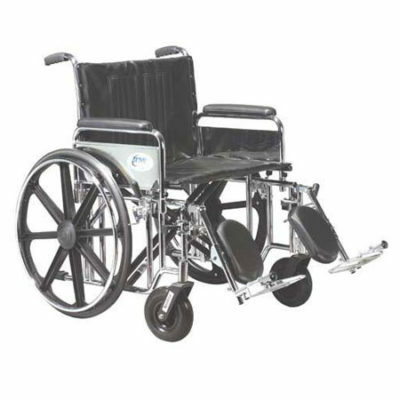 Adjustable height 27 x 27 x 27.